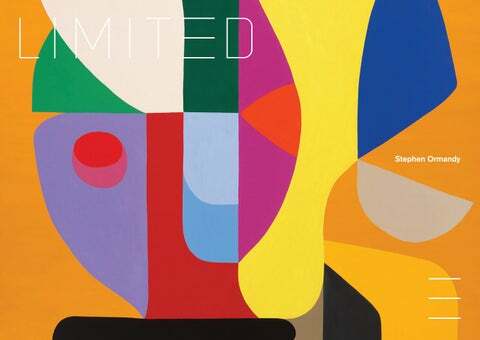 Limited 2018 collection Editioned prints & multiples by leading Australian artists LIMITED Contemporary Editions is a Sydney based print studio presenting exceptional quality, archival limited edition reproduction prints from a collection of Australiaâ&#x20AC;&#x2122;s most celebrated artists including John Olsen, Stephen Ormandy, Matthew Johnson, Martine Emdur and Julian Meagher. We are also continuously working with new artists to present a dynamic selection of contemporary artworks. LIMITED Contemporary Editions works directly with artists to accurately colour match every fine art rendition, bringing the imagery of our most celebrated artists to the public in multiple form. Each artwork image is reproduced on the finest Hahnemuhle archival etching paper using the highest quality, fade-resistant pigmented inks. Each print is hand signed and editioned by the artist to validate and authenticate the print. Stephen Ormandy Born in Melbourne, Stephen Ormandy graduated from The City Art Institute (now known as UNSW Art and Design) in Sydney in 1985. During his time at the college he met Louise Olsen and Liane Rossler and in their final year of study they established the design company Dinosaur Designs. Dinosaur Designs has grown to be one of Australiaâ&#x20AC;&#x2122;s leading design brands specialising in resin and metallic jewellery and home wares. Alongside his role as Creative Director of Dinosaur Designs, Stephen Ormandy has maintained and continued his independent artistic practice. Ormandy is inspired by the natural world and informed by a strong design aesthetic based on colour and form. There is a discernible dialogue between his large-scale oil paintings and sculptural work, with line, shape and surface each informing the other. Ormandy was a finalist in the Sulman Prize at the Art Gallery of New South Wales in 2015. In 2016 Stephen Ormandy and Louise Olsen published The Art of Dinosaur Design that coincided with a travelling exhibition which has shows at Bega Regional Gallery and Hazelhurst Art Gallery. His work is held in public collections across Australia including Artbank, The Sir William Dobell Art Foundation, The Powerhouse Museum, The National Gallery of Victoria and The Art Gallery of Western Australia. 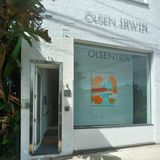 Ormandy is represented by Olsen Gallery, Sydney and Olsen Gruin New York.